Leo Tolstoy is the great Russian novelist best known for his novels War and Peace and Anna Karenina. Born into a wealthy, aristocratic family Tolstoy had a moral crises in the 1870’s that led to deep spiritual awakening and transformation. He became an ardent follower of the teachings of Jesus, in particular the Sermon on the Mount. He considered himself a moral anarchist and eventually renounced his wealth and privilege for the sake of Christ. He is considered by many to be the greatest novelist and writer of all time, certainly of the 19th century. His various writings and books, including A Confessions, The Kingdom of God Is Within You and Resurrection greatly influenced Mohandas Ghandi and Martin Luther King Jr. And whether one agrees with his philosophical and political views or not one cannot deny the impact that the teachings of Jesus had on his life. How can I learn to do the right thing at the right time? Who will be most helpful to me and who should I avoid? What is the most important thing for me to do at any given moment? Remember then: there is only one time that is important–Now! Learn to be present with God and with others. 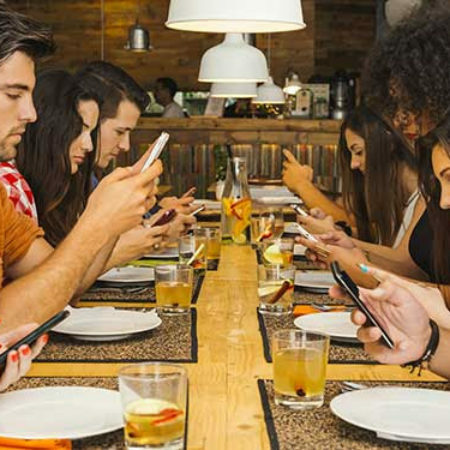 Maybe we can put down our cell phones for a little while and instead of talking, texting or surfing, we can just be with one another. It may be the only opportunity we have.